In the spring of 1975, I fell head-over-heels in love with my future wife. Janice and I used to take the bus home together from UBC. I noticed that something was different. Her eyes sparkled. It turns out that she had been powerfully touched by the Holy Spirit at the previous BC Christian Ashram retreat. That year on the bus, we discussed the person and work of the Holy Spirit. She would often let me ‘win’ the conversation. Seeing her as just a good friend, I had no idea that Janice was pursuing me. When Janice invited me to attend the Summer BC Christian Ashram retreat, I naturally said yes. Being young and impetuous, the discipline of the Christian Ashram of maintaining silence from 11pm to 8am was difficult. Over the years, I have read all 28 books of the Christian Ashram founder Dr. E. Stanley Jones. Initially I wondered why Dr. Jones seemed to take a while to get to the point. Later I realized that like Nicky Gumbel of the Alpha Course, his focus is helping the unchurched to find Jesus at their own pace. Because Dr. Jones spent over fifty years as a missionary in India, he learned how to be gentle and respectful to other religions without compromising on the essentials of the Gospel. In Canada, we have six Christian Ashrams from coast to coast, including BC, Alberta, Saskatchewan, Ontario, Nova Scotia, and New Brunswick. There are many renewed Anglicans that take part on an interdenominational basis. My wife and I have had the privilege of either speaking at or attending four different Canadian Christian Ashrams. While all Christian Ashrams are unique, they share a common framework of Christian community and the disciplines of the Holy Spirit. and insightful speaker who left us with many fresh insights into God’s Word. The joy and power of the Holy Spirit was bubbling from David the whole weekend. I have never met anyone so contagiously excited about Melchizedek, and how it relates to our Lord and Saviour Jesus Christ. The Rev Rod Ellis of the Church of our Lord, Victoria, our Bible teacher, taught on Nehemiah. He made Nehemiah come alive, showing us how we all need to play our part in ‘rebuilding the walls’. Throughout the entire four days, there is a 24-hour Prayer Vigil that everyone is invited to take part in for an hour at a time. This non-stop prayer focus seems to really soften our hearts to God’s Holy Spirit. The two ‘pillars’ of the Christian Ashram are the initial ‘Open Heart’ session where people are invited to share three things: “Why have I come? What do I want? What do I need?” At the end of the Ashram, we have the ‘Overflowing Heart’ session where people are invited to share what Jesus has done for them during the retreat. In their testimonies, the adults, youth and children were overflowing with love and gratitude to Christ. Many had experienced significant physical and/or emotional healings through the work of the Holy Spirit. I have never been to a Christian Ashram where people were not powerfully healed in body, mind and spirit. As Director of the BC Christian Ashram retreat, I am so grateful for God’s sovereign hand from coast to coast, renewing and refreshing his people. You are encouraged to click on our BC Christian Ashram website. 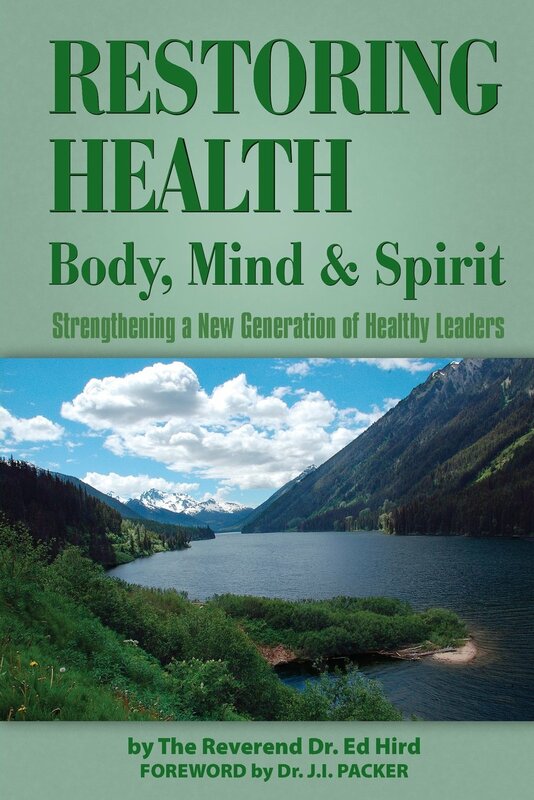 -The sequel book Restoring Health: body, mind and spirit is available online with Amazon.com in both paperback and ebook form. In Canada, Amazon.ca has the book available in paperback and ebook. It is also posted on Amazon UK (paperback and ebook), Amazon France (paperback and ebook), and Amazon Germany (paperback and ebook). – In order to obtain a signed copy of the prequel book Battle for the Soul of Canada, please send a $18.50 cheque to ‘Ed Hird’, # 102-15168 19th Avenue, Surrey, BC, Canada V4A 0A5. For mailing the book to the USA, please send $20.00 USD. This can be done by PAYPAL, using the email ed_hird@telus.net. Be sure to list your mailing address. The Battle for the Soul of Canada e-book can be obtained for $4.99 CDN/USD. Categories: Christian Ashram, E Stanley Jones, Uncategorized | Tags: 24-Hour Prayer Vigil, Alberta, Alpha Course, Anglican, Anglican Mission in the Americas (Canada), ARM, BC, BC Christian Ashram Retreat, Berwick Christian Ashram, Canada, Christ, Christ of The Indian Road, Christian Ashram, Church of Our Lord, David Rich, Dr. E Stanley Jones, Ed Hird, Gospel, healing, Hebrews, Holy Spirit, India, Jesus is Lord!, Nehemiah, New Brunswick, Newfoundland, Nicky Gumbel, Nova Scotia, Ontario, Open Heart, Overflowing Heart, Pastor David Carson, Rebuilding the Walls, renewal, Rev Rod Ellis, Saskatchewan, Victoria, What do I need?, What do I want?, Why have I come? | Permalink.